EXQUISITE COLOR on an exquisite Silver War Nickel! 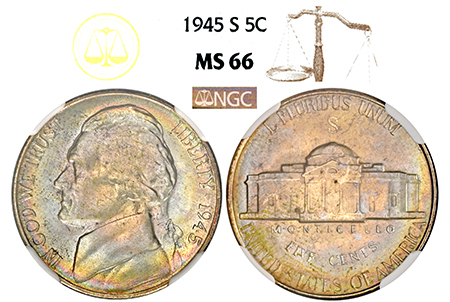 Lustrous surfaces are swept in color on both the obverse and reverse. Both sides feature a blend of lavender, sky-blue, and a light golden yellow. No significant hairlines or haze. Only 114 examples are graded by NGC!